I took these at an abandoned paper mill factory outside of Berlin, Germany. I have a three-part series dedicated to this abandoned factory which you can see by clicking here. I feel like my photography reflects my mood. I hope warm days with sunshine come soon! These are such dark and gloomy photos, stunning portrayal of ruin!! 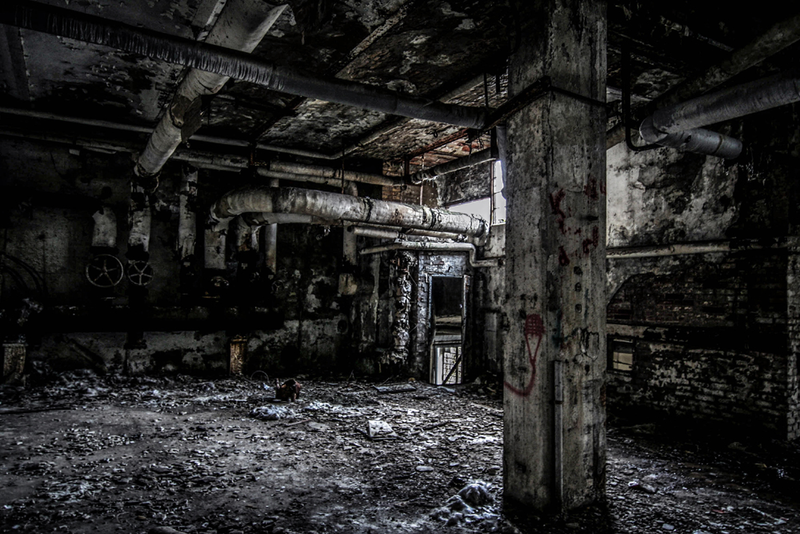 abandoned buildings are kind of magical… thanks for sharing those wonderful photos!! Love the portrait in that dark place. That spot looks as if it was some kind of gaming world. this is eerie. Specially the second snap. Imagine going at this place at night and flashing torch on this white wall only to discover that face. 😉 Looking to see more of this factory in next part. Also wish that your sun shine feeling days come back. I’m torn between feeling scared out of mind and admiring its beauty in antiquity. What’s the story behind the paper mill? How did you find it? What made you step inside?, etc. Would love to know more of the back story! ~M. You have an excellent eye ! Impressive. Hope you’re enjoying Berlin though. I spent a year there (89/90) and loved it all, even the scary moments. Good luck with your time in Germany. Nice shots. I bet that paper mill factory holds a lot of stories. Thanks for stopping by my site and the like of my post “Green and White with Speckles”.